Okay, so i'm a dingus... i downloaded and extracted and can't find the races when i play,,, could i have spelled out instructions? Preferably written for computer challanged old farts like me? Yes, I have considered the Alien Crossfire factions but have no plans to do them as of right now. But I'll never say never! Yes thank you for this mod. 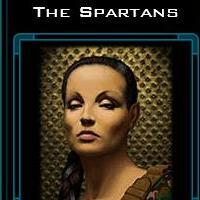 I like the factions and their human origins more than the aliens in GC who seem rather boring by comparison. This is only a personal opinion of course. just wondereing about whether any of the the factions in Alien Crossfire could also be integrated. I particularly like the idea of water worlders like the faction the pirates in Alien Crossfire. Anyway thanks for a great mod! Mod is now updated to version 1.1. See readme for updated changes. Update: Nearly done with the updated SMAC. Have edited the races to have NEGATIVE traits now and actually added a few abilities that don't show up on screen but are present in the race XML file (specifically one called 'Home Planet Quality'). A bit more tweaking and she'll be done very soon. Sweet! I can't wait. My next big game is going to full of my old SMAC friends and enemies. I debated for a while exactly which things to increase point-wise. In the end, I felt that I just couldn't justify using ALL the points. 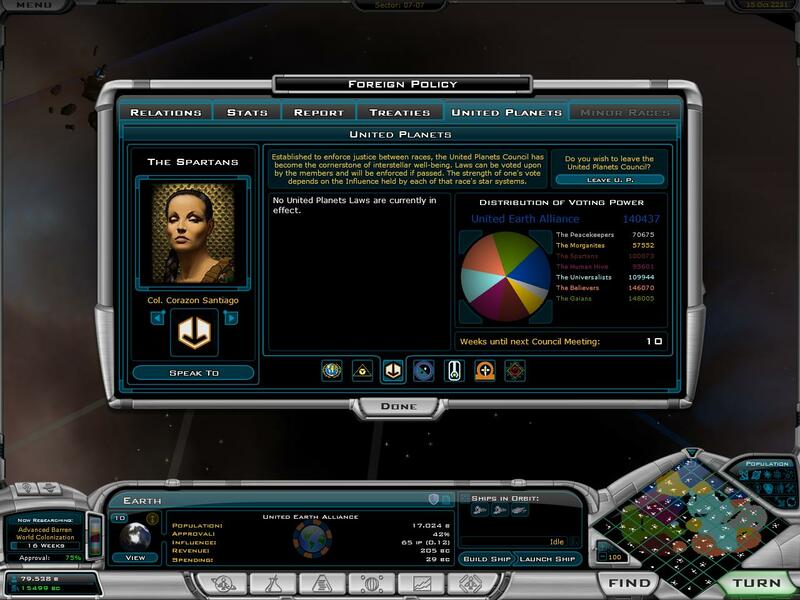 The militaristic factions, for example, were easier...weapons, propulsion, anything that would give them higher stats in ship building or military. Others were a bit more subtle. So I just put as many in as I thought would not completely overbalance any one faction. When you combine their points with their government choices (Federalists, Populists, etc) you can get some pretty high bonuses.But, as I stated, tweak to your hearts content! If you don't like a race because they are too weak or too strong, have at it! As far as super-abilities go I honestly didn't give a whole lot of thought to that aspect because I don't play with super-abilites. I allocated a few because they seemed to "fit" the faction but other than that...not much thought. I will be doing a small update to this mod soon, mostly cosmetic. But I found myself going back and tweaking a few factions since I uploaded the mod so they will be updated as well...just a tad, not much. Thank you for your kind words. I enjoyed making it, especially the images and logos! Photoshop rocks! Since I trust your memory of SMAC more than my own... have you thought about assigning super abilites and all their racial points? Or did you have a reason to leave most of the points unassigned? BTW - thanks so much creating this! You did a great job. OH! You mean by updating the Universalists-University thing and the extra 'the'? Yeah, I can do that. How so, if you don't mind my asking. Is there a problem with one or some of the files? Can you update your zipfile?